It was founded in 1991 by the Soprintendenza archeologica di Pompei thanks to the finds from Pompeii, Herculaneum, Oplontis, Stabiae, Terzigno, and Boscoreale and to a didactic apparatus; this museum collects several artifacts belonging to the daily life of the Roman society on the Neapolitan territory. 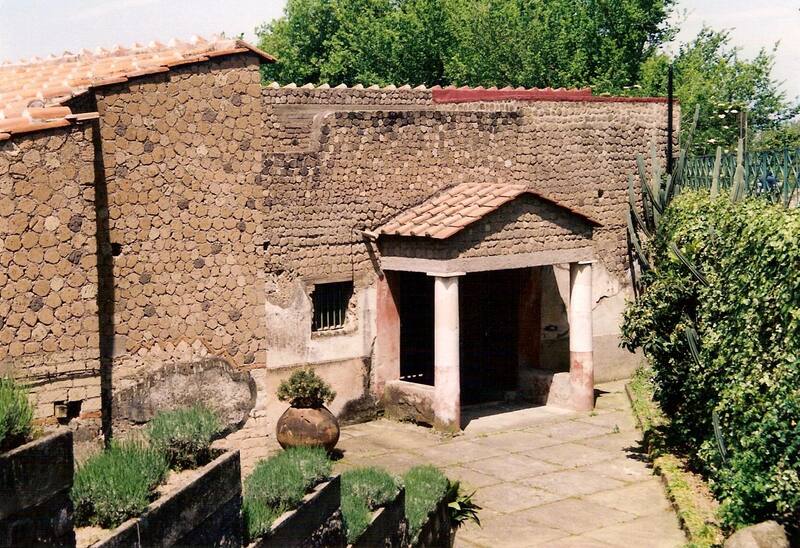 Among the several villas of the territory there’s one which is open to the public: Villa Regina, discovered in 1977 and totally brought to light by the Sovrintendenza Archeologica of Pompeii. Inside we can admire the rooms displaying the wine press and the cellar still containing the jars to keep the wine, as well as the service rooms and the residencial ones, with some cubicula (bedrooms) and a huge room with splendid Pompeian style frescoes. Stabiae was an ancient Roman town, located close to the modern town of Castellammare di Stabia approximately 4.5 km southeast of Pompeii. During the eruption of Mount Vesuvius in 79 AD, this seaside resort was largely destroyed by 2 metres of ash. The most famous of the findings at Stabiae are the villas that all built at the time between the destruction of Stabiae by Sulla in 89 BC and the eruption of Mount Vesuvius in 79 AD. These villas, which are described below, are considered to be some of the most interesting architectural and artistic remains of Roman villas. 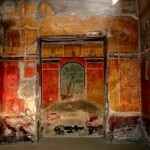 In 2004 an Italian-American collaboration between the Superintendency of Archaeolgy of Pompei, the region of Campania and the University of Maryland formed the Restoring Ancient Stabiae Foundation (RAS). Its prime goal is to excavate, restore and build an archaeological park at the ancient site of Stabiae, a complex of seven or eight Roman villas. A large number of artifacts come from Stabiae are preserved in the Naples National Archaeological Museum. One of the largest villas ever discovered in Campania, measuring more than 11,000 square metres. This villa has an atrium, a courtyard containing a pool, a triclinium with views of the bay, and a colonnaded courtyard. There are also many other small rooms, a kitchen, and two internal gardens. 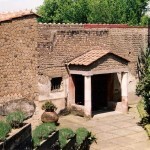 Villa San Marco also has a private bath complex that is made up of a calidarium, tepidarium, and a frigidarium. This villa is also important thank to its beautiful frescoes, sculptures, mosaics, and architecture, which show styles and themes comparable to those found in Pompeii and Herculaneum. Named from the fresco depicting Dionysus saving Ariadne from a desert island. This villa is particularly famous for its frescoes, many of which depict light, winged figures. It has one of the largest courtyards of any Roman villa; measuring two stadia in length. Another feature of Villa Arianna is its private tunnel system that connects the villa to the sea shore, which was probably only between 100 and 200 metres away from the bottom of the hill. The shoreline has since changed, making the archaeological site further inland than it was in antiquity. Oplontis was a town near Pompeii, in the Roman Empire. On August 24 AD 79, the eruption of Mount Vesuvius buried it under large levels of ash. A large number of artifacts come from Oplontis are preserved in the Naples National Archaeological Museum. 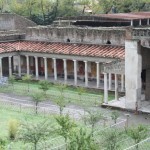 The Villa Poppaea is a large structure situated in the Roman town of Oplontis, about ten metres below the modern level. 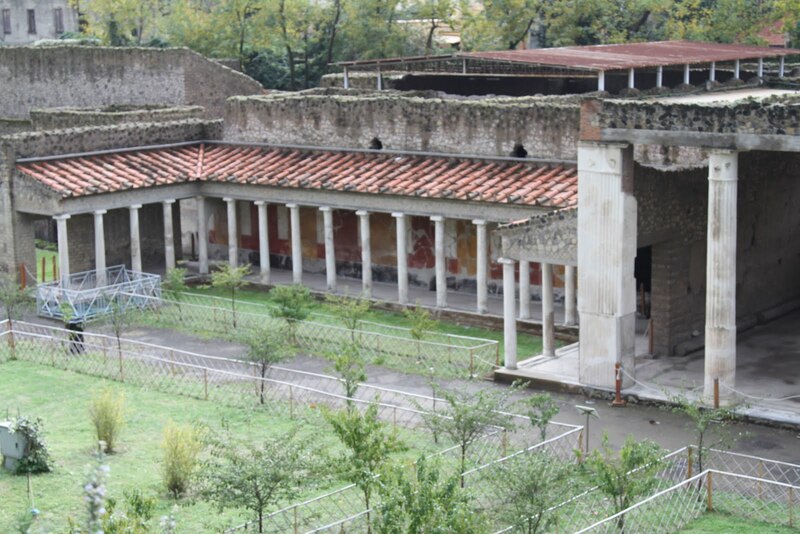 It was owned by the Emperor Nero, and used by his second wife Poppaea Sabina, as her main residence when not in Rome. 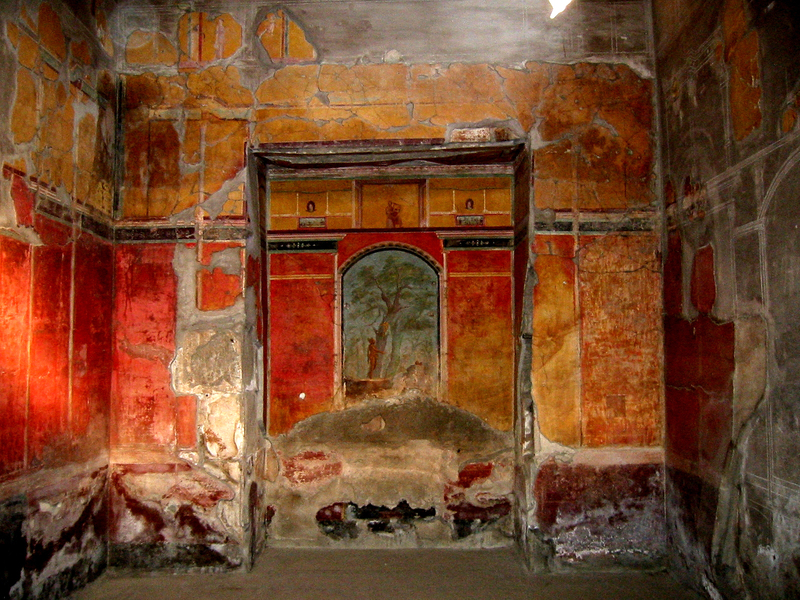 The frescos decorating the walls are among the best preserved, both in form and in colour, of all Imperial Roman frescoes; the roof of the building largely survived the eruption as well. The site of the villa was rediscovered during brief excavations carried out by Francesco La Vega in the eighteenth century; the swimming pool, which measures 60 by 15 meters, was not re-discovered until the 1970.